Beware of three-hour lines! If you don't plan to get a Firenze Card, reserve your Uffizi tickets before leaving for Europe. In high season, tourists queue to climb the Duomo's dome. 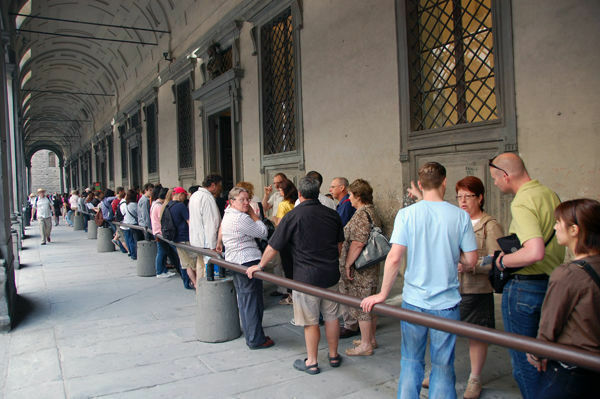 Florence offers several options to help you bypass the lengthy ticket-buying lines that can plague its most popular sights in peak season (especially the Uffizi Gallery and the Accademia, with David, which have notoriously long lines all year long). Smart travelers save hours of lining up in one of two ways. The Firenze Card (€85 per person) is the easiest option. It lets you skip the line at nearly all of the city’s main sights. You’d have to sightsee like mad to make the card actually pay for itself, but the savings in time are worth the extra cost for many travelers. Getting the card makes the most sense from April through October, when crowds are worst. Alternatively, you can make reservations for the Accademia and Uffizi. This is cheaper than the Firenze Card, and makes sense if you won’t be visiting the many other museums covered by the card. This three-day sightseeing pass gives you admission to many of Florence's sights, including the Uffizi Gallery and Accademia. It lets you skip the ticket-buying lines without making reservations (except for the Duomo dome climb). With the card, you simply go to the entrance, find the Firenze Card priority line, show the card, and they let you in. There are a few hitches to the card. Even with the card, security bottlenecks may delay your entry. At some sights, you must first present your card at the ticket booth to get a physical ticket before proceeding to the entrance. For the Duomo sights, this means going to the ticket office across from the Baptistery (at #7), though there’s a priority queue for card holders. The Firenze Card does not let you skip the line for the Duomo dome climb – you must make a reservation for that – nor does it let you skip the line to enter the (free) Duomo. If you plan to climb the Duomo's dome, you must make a reservation in person when you present your Firenze Card at the Duomo ticket office – but in high season the chances of getting a time slot for the same day are slim (you're better off buying a Duomo combo-ticket online well in advance and booking your climb time then). The Firenze Card costs €85 and is valid for 72 hours from when you validate it at your first museum (for example, Tue at 15:00 until Fri at 15:00). Validate your card only when you're ready to tackle the covered sights on three consecutive days. Make sure the sights you want to visit will be open (many sights are closed Sun or Mon). The Firenze Card covers the regular admission price as well as any special-exhibit surcharges, and is good for one visit per sight. To figure out if the card is a good deal for you, tally up the entry fees for what you want to see. If you're particularly ambitious and enter all the most popular sights within three days (the Uffizi, Accademia, Palazzo Vecchio, Bargello, Medici Chapels, Museum of San Marco, Duomo-related sights, and the Pitti Palace sights) the Firenze Card will pay for itself. The Firenze Card also covers a long list of minor sights that you might enjoy popping into, but wouldn't otherwise pay for. But the big advantage is saving time. Without the card, it’s not hard to spend at least €50 on tickets and reservations anyway. With the card, you avoid the hassle of making reservations and scheduling your time around them. Don’t bother buying the card in advance online, because you’ll still have to exchange your voucher for a card once you arrive in Florence. In Florence, you can buy the card at most tourist information offices (TI) and most participating sights. The least-crowded sales point is the TI at Via Cavour 1 red, north of the Duomo. The Palazzo Strozzi also has short lines and long hours. Other uncrowded, central sights selling the card include the Bargello, the Bardini Museum, and the back ticket desk at the Church of Santa Maria Novella (on Piazza della Stazione, across from the train station). Buying the card at the Uffizi Gallery is surprisingly easy: Just enter door #2, passing to the left of the ticket-buying line. You can also buy the card at more crowded places like the TI across from the train station and the airport TI, though not from the TI near the Duomo. It’s also sold at big sights like the Palazzo Vecchio and Pitti Palace. The Firenze Card is not shareable, and there are no family or senior discounts for Americans or Canadians. Since children under 18 are allowed free into most museums, they can generally skip the line with their Firenze Card-holding parents. However, at the Uffizi and Accademia, children still must (technically) pay the €4 “reservation fee” (which can be paid on the spot – no need to reserve ahead). Don’t confuse this card with the Firenze PASSport. If you don't get a Firenze Card, it's smart to make reservations at the often-crowded Accademia and Uffizi Gallery. 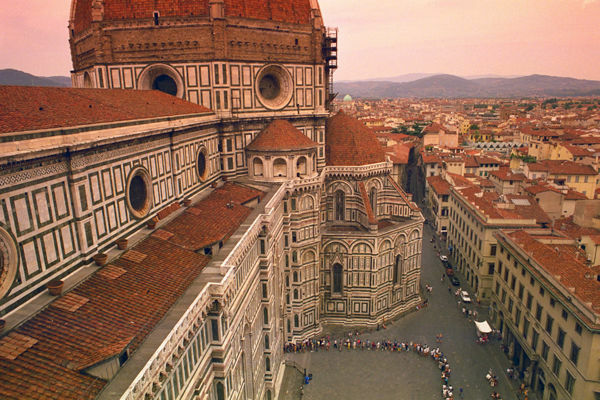 Reservations are mandatory to climb the Duomo's dome. 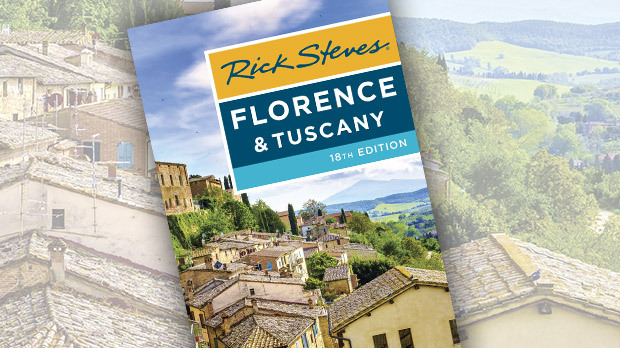 Some other Florence sights — including the Bargello, Medici Chapels, and Pitti Palace — offer reservations, but they are generally not necessary. The Brancacci Chapel officially requires a reservation, but it's usually possible to get one on the spot at the chapel or in advance at the Palazzo Vecchio. Get reservations for the Uffizi Gallery and the Accademia Gallery as soon as you know when you'll be in town. Without a reservation at the Accademia and Uffizi, you can usually enter without significant lines from November through March after 16:00. But from April through October and on weekends, it can be crowded even late in the day. I'd reserve a spot any time of year. Note that reservations are not possible on the first Sunday of the month, when the museums are free and very busy. You can book and pay for your Accademia or Uffizi visit via the city's official site (€4/ticket reservation fee — click on the gray "B-ticket" strip). You'll receive an order-confirmation email, which is followed shortly by a voucher email. Bring your voucher to the ticket desk to swap for an actual ticket. From a US phone, dial 011-39-055-294-883, or from an Italian phone call 055-294-883 (€4/ticket reservation fee; booking office open Mon–Fri 8:30–18:30, Sat 8:30–12:30, closed Sun). When you get through, an English-speaking operator walks you through the process — a few minutes later you say grazie, having secured an entry time and a confirmation number. You'll present your confirmation number at the museum and pay for your ticket. You pay only for the tickets you pick up (e.g., if you reserved two tickets but only use one, you'll pay for just one ticket). Some hoteliers will book museum reservations for their guests (ask when you reserve your room); some offer this as a service, while others charge a small booking fee. 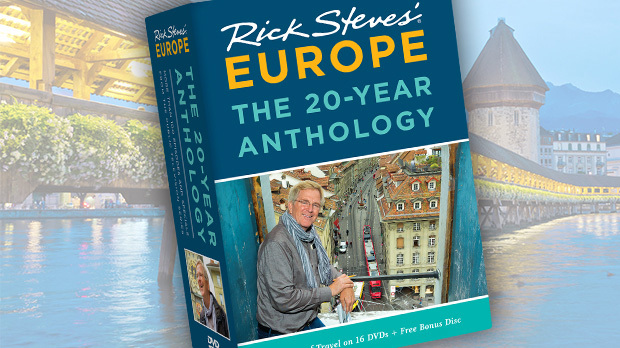 Various tour companies sell tours that include a reserved museum admission. For example, Artviva offers tours of the Uffizi, Accademia, and both museums. If you arrive without a reservation, call the reservation number (see "By Phone," above), ask your hotelier for help, or head to a booking window, either at Orsanmichele Church (daily 9:00–16:00, closed Sun, along Via de' Calzaiuoli) or at the My Accademia Libreria bookstore across from the Accademia's exit (Tue–Sun 8:15–17:30, closed Mon, Via Ricasoli 105 red). It's also possible to go to the Uffizi's official ticket office (ask the custodian at door #2 and ignore the long ticket-buying line), and ask if they have any short-notice reservations available. Any of these options will cost you the €4 reservation fee. Because the museums are closed on Mondays, the hardest day to snare a last-minute, same-day reservation is Tuesday — get an early start. As a last resort, buy a Firenze Card just for the line-skipping privileges.